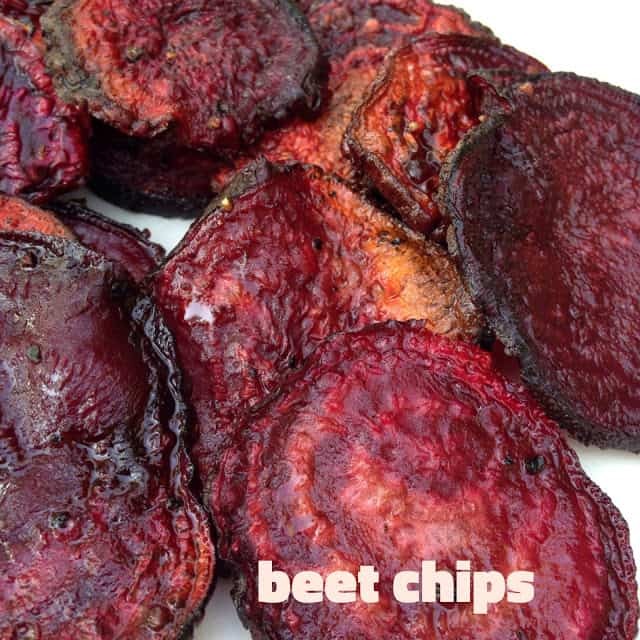 Once you start eating these delicious Beet Chips, you won’t be able to stop. I know this how? 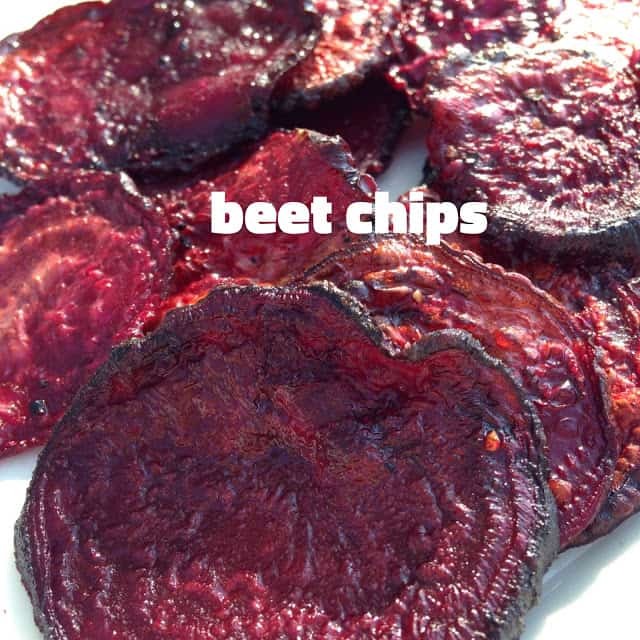 Because I made two baking sheets of beet chips and I ate both pans myself! Fat, easy, affordable and good for you too. 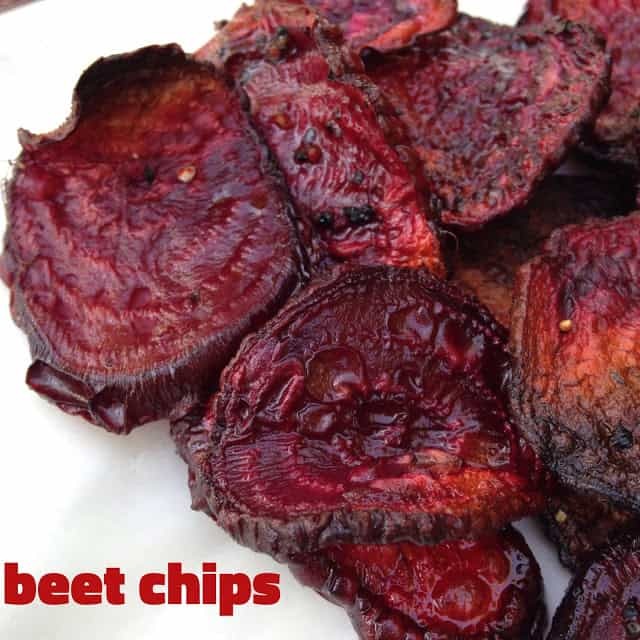 Move over potato chips, there’s a new chip in town. Preheat oven to 375 degrees. Place oven rack in the center of the oven. Divide slices between two baking sheets and lightly drizzle with olive oil. Add a few pinches of salt and a few grinds of black pepper. Toss to coat, arrange in a single layer, making sure the slices aren’t touching. 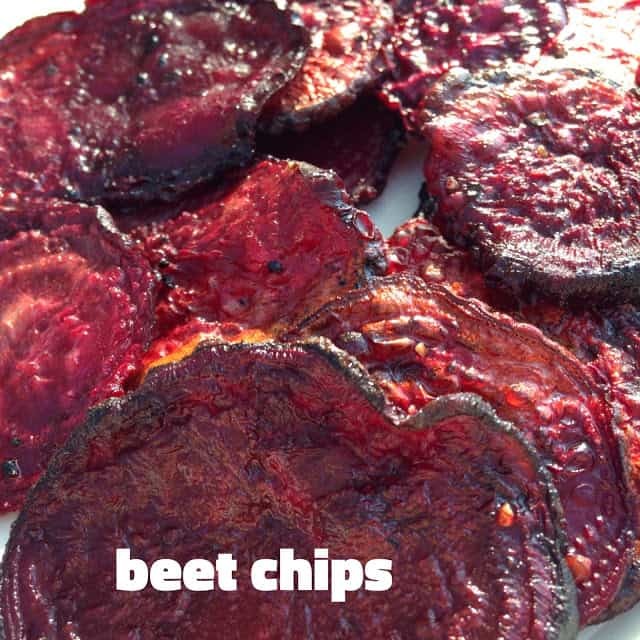 Bake for 15 to 20 minutes or until crispy and slightly brown. Watch closely after 15 minutes, they will burn, quickly. Remove from oven and enjoy.